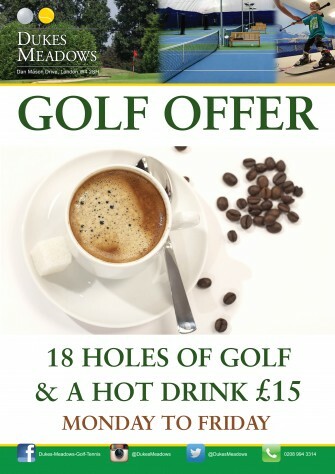 We are offering to Dukes Meadows Golf customers a special offer this month: 18 holes of golf + a hot drink for £15 ! This offer is running until the end of January 2018 so don’t miss out. Give us a ring now for more details and for bookings 020 8994 3314.